After 31 years Printed POOP (the hard-copy, analog edition, that is) will be coming to an end. However, the digital online edition will continue its time-honored slog, thanks to the often overlooked efforts of Mark Zip, my Partner-in-POOP. For all these years, I have been getting the printed version done, er, under the table at a rather discounted rate but my shady invisible contact has had the temerity to retire from his print-shop position, leaving us without any other option. But puh-leez, remember that POOP lives on, evolving as it does. I hope this latest change does not discourage anyone from participating in digiPOOP. So . . . I would ask that you still send your list to me at mark45rpm@aol.com so that I can do the tabulations and commentary AS WELL as send your list to Mr. Zip at zipszig@hvc.rr.com for online publication. In the meantime this means I will NOT be squeezing you for contributions that would have gone for printing and postage, but Mark Zip does incur costs in his beautiful online forum. He asks for donations of $5; that donation can be made right on the main page at pooplist.net. But despite all these changes, rest assured I will still pester you about the deadline, which this year is January 31st. 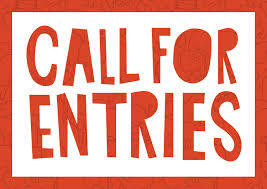 Be the first to comment on "Call for entries"